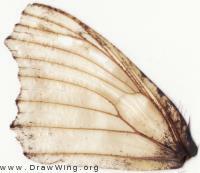 Fore wing of a specimen of Nymphalis polychloros (Linnaeus, 1758). Hind wing of Anosia. From Comstock (fig. 347) . 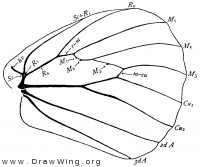 Fore wing of Anosia. From Comstock (fig. 346) .